Our client is an international fragrance and flavor company. They currently have an opening for a Sr. Food Technologist, Alcoholic Beverages in their Flavors Division in the Northeast. Our client is a venture-backed, early stage ingredient and technology company. They are deploying a groundbreaking biomass manufacturing platform to transform food ingredients, improve human health and mitigate climate change. 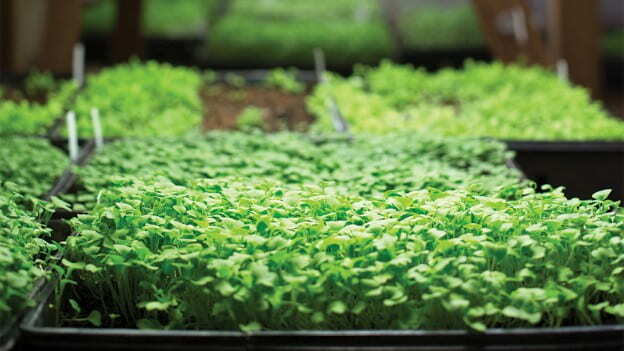 This Company is at the technological forefront of a new green revolution. Their scalable “farming with physics” platform takes indoor industrialized photosynthesis to the next level, creating sustainable, natural alternatives to artificial colors and other synthetic ingredients currently used in food, animal feed and personal care products. Their approach is constructed to drive down costs and increase consistency through innovative design, simplification and repetition, with an ultimate goal of realizing the potential for large-scale, carbon negative agriculture. The Farmory in downtown Green Bay is a “farm with a social mission,” in the words of Program Director, Alex Smith. The historic armory turned “farmory” is being used to demonstrate to the community how the centuries old practice of farming can address the growing problem of food security in many of today’s urban areas. Zaffuto, a food science major, attributes his many accomplishments to Penn State’s College of Agricultural Sciences, his family and his hometown of Sykesville, Pennsylvania, a close-knit community with plenty of corn and wheat fields.